The threat of airport expansion in Kent has returned, six months after the government ruled out building an airport at Cliffe. People living near Heathrow and Stansted have successfully campaigned for the right to a judicial review into the decision to expand those airports. The review will look at other options for expansion, including a floating airport off the Isle of Sheppey. Anti-airport campaigners from Kent have said they will continue their fight. Cliffe, on the Hoo Peninsula, was one of several sites considered by the government last year for airport expansion in the South East. The government rejected Cliffe as a potential site for a new airport, instead announcing extra runways would be built at Heathrow in south London and Stansted in Essex. Protesters had said the Cliffe area was unsuitable for an airport, being a key site for migrating birds. They claimed building an airport there would disturb the birds and also raise the prospect of birds flying into planes' engines, with the risk of crashes. Campaigners now say the same problems would apply to an airport off the Isle of Sheppey. 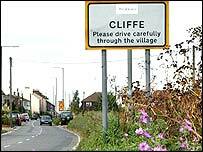 George Crozier, who lives near Cliffe and campaigned against plans for an airport there, told the BBC: "We've always said that it's a crazy notion to build an airport at Cliffe or anywhere near Cliffe. "I think it's a little naive as well to think you can build an airport in the Thames Estuary or anywhere near the North Kent Marshes. "We've got four special protection areas here for birds, it's like the M25 for birds coming in from the Arctic. "The bird strike issue alone would preclude them. "Why do they keep thinking they can build an airport near the North Kent Marshes? "If the fight comes, we're ready, willing and able to take the challenge." The leader of Medway Council, Cllr Rodney Chambers, has also criticised the plans, calling them "pie in the sky". The High Court granted leave for the judicial review after a joint lobby the Stansted residents and the Heathrow Association for the Control of Aircraft. 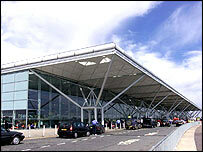 It ruled not enough consideration was given to options other than Heathrow and Stansted. A judicial review is not expected before October at the earliest.